The HTC One M8 was considered one of the best Android handhelds last year, and for good reason. The luxurious metal body design housed some impressive internals, with HTC Sense also make Android a much more bearable operating system to deal with. It was my pick of the crop, meaning the M9 has some serious shoes to fill when it finally arrives. And now, we know when that’s going to happen. HTC South Africa revealed last night that their next flagship smartphone will launch in June 1st locally, in both black and two-tone silver and gold. The gold and pink variations are set to arrive at an unspecified time, as HTC will use them to refresh interest in the phone after the initial launch. The M9 is an incremental update to the M8 of last year, with a refined camera, new Sense UI and a tweaked exterior headlining the major changes. I got to play around with it a little bit at the announcement last night, and the first thing I noticed was just how much better the device is in the hand. 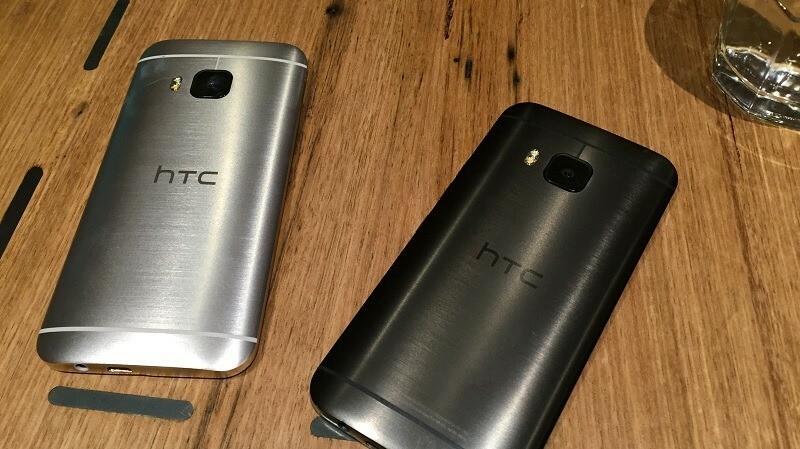 It’s nowhere near as slippery as the M8, which means you’ll hopefully be dropping the all-metal body a little less. It also looks just as good as the M8, with only the camera and subtle design changes setting it apart from its older sibling. I’ll be putting it through its paces over the next few days, and have a review up and ready well before you have to make a decision in June. But my initial impressions suggest that if you liked the M8, you’re going to like the M9 too – although I’m not sure yet if I’d call it much of an actual upgrade. Pre-orders for the smartphone will be available soon, so keep your eyes peeled if you’re interested in an upgrade. Next article Gear down again! A NEED FOR SPEED sequel is on the way!